Happy Kitchen Sink Stamps Monday! 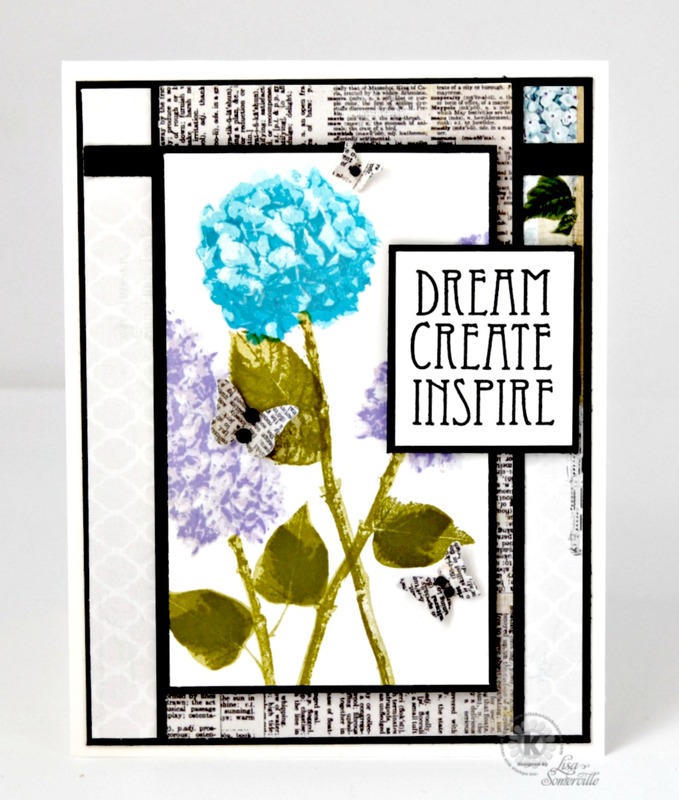 Inspired by this weeks Mojo Monday Sketch Challenge, I used Kitchen Sink Stamps Multi Step Lilac and 3 Step Hydrangea stamp sets, along with the word stamps from the Vintage Words set to create my card. Lovely flowers. Love how you layered up on the script sideways. Lisa, I just wanted to let you know how beautiful your card is. I love the mix! and the sentiment is perfect! What a beautiful card!! Love all of the layers.